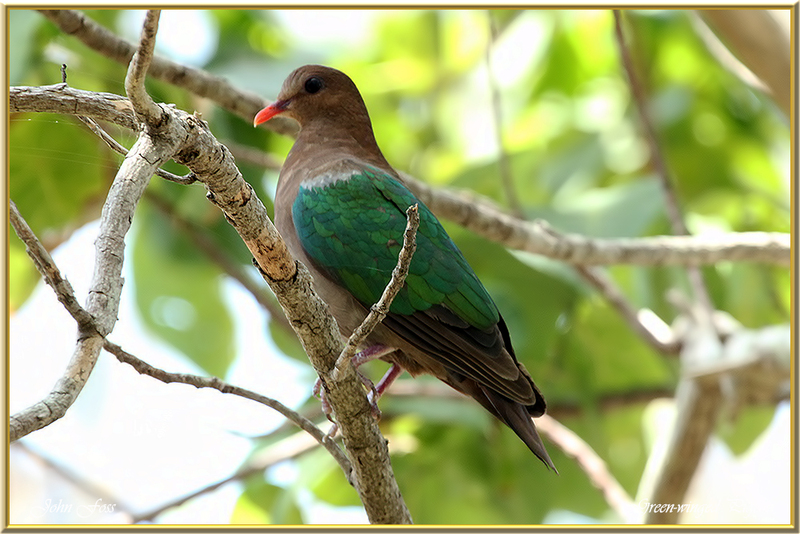 Pacific Emerald Dove - or green-winged pigeon are found in rainforests and damp woodland areas. 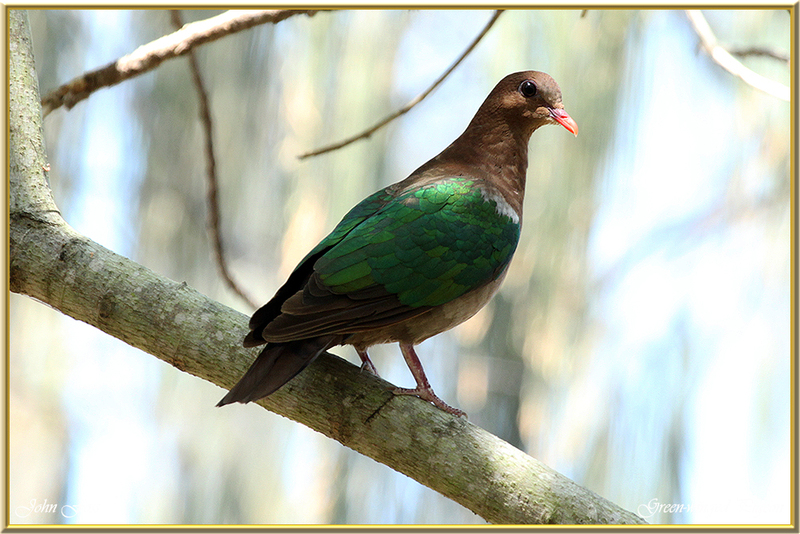 They feed on fruit, berries and insects. They are quite tolerant of human presence. I came across this one sat in a tree at Mon Repos near Bundaberg Australia.